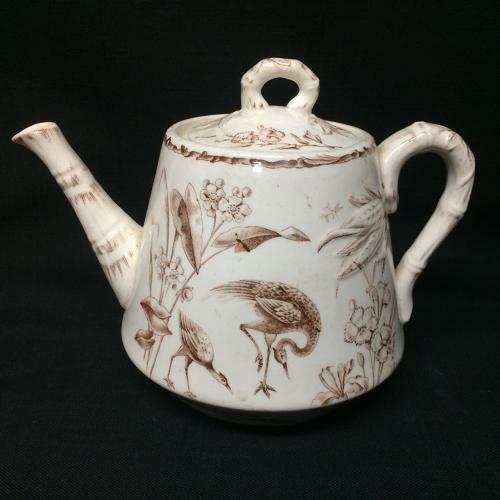 This very desirable Victorian aesthetic 6 ” tall x 8 " wide teapot is transfer printed in brown against a creamy white background. Teapots are the hardest forms to find especially in this exceptional pattern. The pattern features some of the most outrageous looking birds the potteries artist could imagine. Exotic foliage, ferns and flowers with a repeating scene on the opposite side. Finial and handle are jointed similar to bamboo.